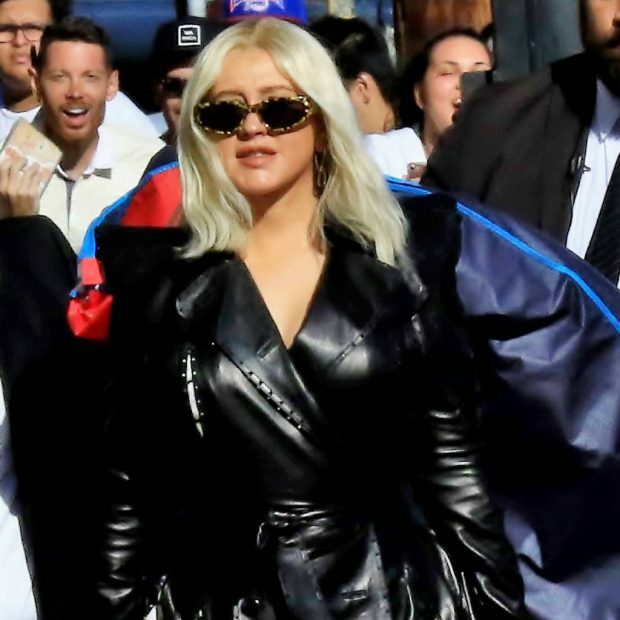 Christina Aguilera has admitted touring with her children makes the experience a lot less "narcissistic". The 37-year-old shares 10-year-old son Max with ex Jordan Bratman and daughter Summer, four, with fiance Matthew Rutler. She's currently on her Liberation Tour, with her offspring joining her on the trek, and she admits that combining motherhood with her pop career is a "lot of extra work". "But it's amazing," Christina told Entertainment Tonight. "It's actually why I was hesitant because it's a lot to juggle, so many hats and so many things at the same time. "I'm ultimately Mama Bear, so whenever we check into a hotel, it's hard. Sometimes it's four in the morning, but it's not all about me. It's different from touring when you're 21 years old. It's very narcissistic, and all you think about is yourself. All you have to think about is yourself, and now you're thinking about the blankies and the favorite stuffies and it's all the mom stuff." The tour is Christina's first time on the road since her Back to Basics Tour more than a decade ago. But having her children with her has made it a unique experience for the music star – who has done her utmost to make Max and Summer as comfortable as possible while on the tour. "It's honestly just definitely in her (Summer's) blood. She has surprised me," Christina said of her daughter's performing inclinations, before adding: "My son comes in and out, and he's a trouper too – as long as he has his Fortnite here and there. "Before that, it was American Ninja Warrior, and I'm not the cool one. But they're great and they've been rolling with it, and as long as you have your home base with you, it doesn't matter where your actual home is."